Governor Andrew M. Cuomo today announced that State Park campgrounds set a new record for attendance for the fifth consecutive year. Campsite, cabins and cottages across New York State occupied more than 633,000 nights; complements Governor's $900 million NY Parks 2020 initiative. Albany, NY - October 19, 2016 - Governor Andrew M. Cuomo today announced that State Park campgrounds set a new record for attendance for the fifth consecutive year. Through Columbus Day, campsites, cabins and cottages across the state were occupied for more than 633,000 nights, surpassing 2015's record of 623,891 nights. "More and more visitors are discovering the unparalleled natural beauty and outdoor recreation offered by our state parks," Governor Cuomo said. "Our commitment to preserving parks and campgrounds across New York attracts new visitors and revenue to support jobs and create economic activity across the state." State Parks Commissioner Rose Harvey said, "Governor Cuomo is driving the renewal of our State Parks and campgrounds. State Parks offer fun things to do all year long, and I encourage people to plan a getaway at one of our incredible destinations." State Park camping occupancy has climbed nearly 17 percent since Governor Cuomo took office, rising every year from almost 542,000 overnight stays in 2011 to 633,000 so far this year. 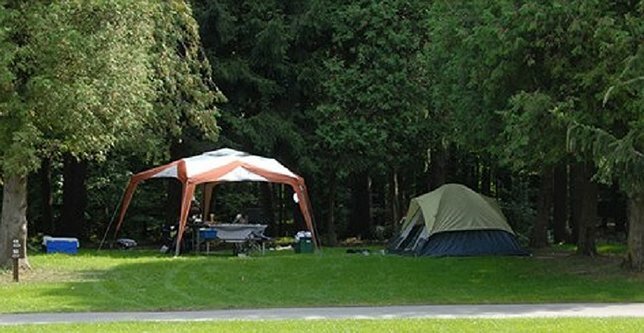 Late season camping remains available at a few select campgrounds. Camping reservations are available through ReserveAmerica, which provides online and phone reservations for campsites throughout New York. Reservations are accepted for campsites and cabins, from one day to nine months in advance of the planned arrival date. Visit the website or call toll free 1-800-456-CAMP. Governor Cuomo is committed to improving and expanding access to outdoor recreation. The Governor’s NY Parks 2020 plan is a multi-year commitment to leverage a broad range of private and public funding to invest approximately $900 million in State Parks from 2011 to 2020. The 2016-17 State Budget includes $90 million toward this initiative. New York State Office of Parks, Recreation and Historic Preservation oversees 180 state parks and 35 historic sites. For more information on any of these recreation areas, call 518-474-0456 or visit www.nysparks.com, connect on Facebook, or following on Twitter. Subject: LongIsland.com - Your Name sent you Article details of "Governor Cuomo Announces State Park Campgrounds Set Record Attendance for Fifth Straight Year"